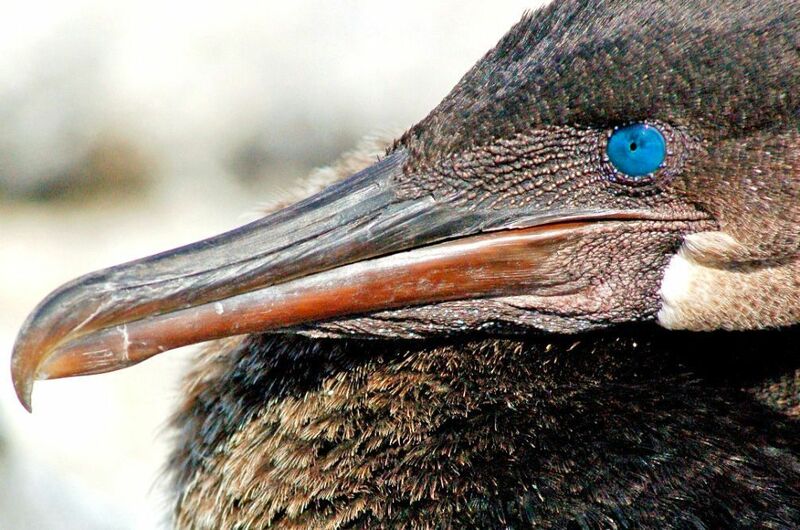 What a wondrous creature – the Galapagos Flightless Cormorant (Phalacrocorax harrisi). There is nothing like it anywhere else in the world. It epitomizes the meaning of species adaptation and is one of the most unique and interesting birds anywhere on Earth. With its long neck, grace and gentle demeanor, it's a favorite attraction for all Galapagos visitors. Look at those piercing blue eyes. cormorant are marine birds that source their food from the sea. 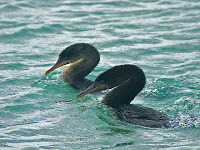 With one exception - our unique and remarkable cormorant - cormorants fly above the ocean and dive down to catch the fish on which they survive. Once, our cormorant too flew, just like the other 27 species of cormorants found around our planet. Yet, over time, our unique and beautiful creature evolved and adapted to the rugged and arid volcanic terrain surrounded by salt water that defines the Galapagos Islands.